Comment: Former Library book. Shows definite wear, and perhaps considerable marking on inside. 100% Money Back Guarantee. Shipped to over one million happy customers. 5.0 out of 5 starsEric Sloane's erudition is always a treat. Eric Sloane is well known for his numerous books on early American tools, woodwork, and lifestyle. But he obviously knows quite a lot more. I'm over 70, and know a little about weather myself, having lived a lot of my time outdoors. I bought this for a 12 year old grandson who has become more than a little interested in sailing. Text may be a wee bit advanced for him, but Sloane's thoughtful and accurate illustrations will keep him interested. This is the sort of book I came back to again and again when I was his age. Never boring. Sloan must be a sailor himself to have built this book so well. The late Eric Sloane said the best way to learn something is to write a book about it. And learn he did. In fact his research on weather made him somewhat of an expert and this book passes along what he learned. As usual he accompanies what he says with his sketches and artwork that illustrate and enhance the text. Yes times have changed and Sloane may seem dated to many younger technology dependent readers, but he wrote to teach and to pass on what he learned and what came before him. It was his desire that the past not be forgotten, but recalled and appreciated for what can be learned. 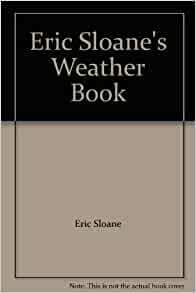 This book teaches about weather, and in its own way about Eric Sloane. For anyone interested in learning how the weather works this is the book that simply lays it out with all the diagrams and illustrations making it easy for kids and adults. What a superb book! Weather is such a complex thing, but Sloan makes it accessible, understandable, and by God, fascinating. Pithy and down to Earth language, loads of excellent hand drawn diagrams to illustrate the ideas, and a gently humorous tone lead us to a solid understanding of what makes weather. This should be a textbook in schools! This book opened my eyes to wonders of weather systems when I was a kid and inspired me to get an undergraduate degree in Meteorology. The drawings and descriptions are pure candy to a young and growing mind. This book will blow you over with all the awesome drawings and great observational science. It has inspired the whole family with nature studies. We can’t pass by the lake now without guessing wind speed. Great info for kids and adults alike. It'll help you understand your local tv meteorologists when they talk about high pressure areas, cold fronts, etc. This is timeless information that can be useful to you or just satisfy a curiosity. 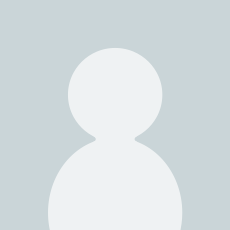 Easy to read and good illustrations. 5.0 out of 5 starsDon't pass this one up. This is the book that professional ship officers read before they take meteorology classes so they have a basic understanding of how weather works. Life is more rich and amazing after reading this. Wonders are before you every minute that you'd never notice before reading this.